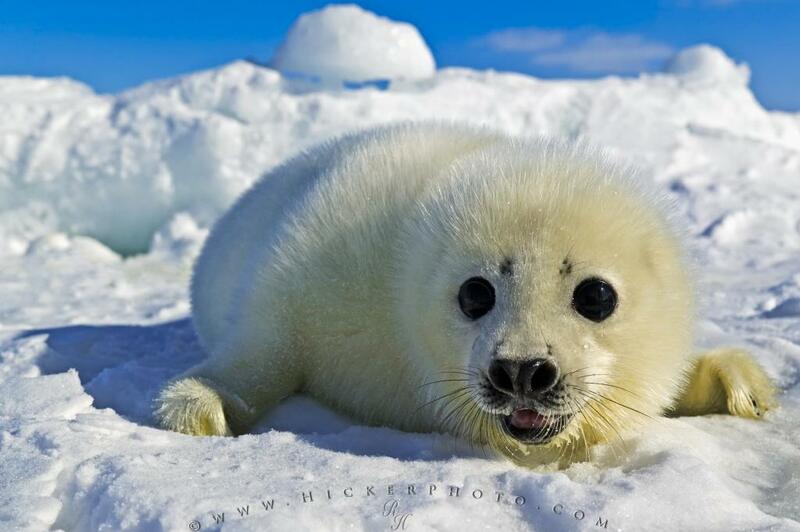 This baby harp seal otherwise known as a white coat, belongs to the Gulf sub population of Harp Seals in the North Atlantic Ocean. I was fortunate to spend some time with this cute little white coat baby seal during a recent visit to the pack ice in the Gulf of St Lawrence. After a few minutes of talking softly with the pup, it became more curious and started chatting back. This baby seal pup is about 3 days old, and in less than 2 weeks will be triple the size it is now while beginning to moult its beautiful white fur coat.